Foton View CS2 is a perfect small bus for all entrapreneurs and this particular model is bringing in good reputation to the company right since its launch. 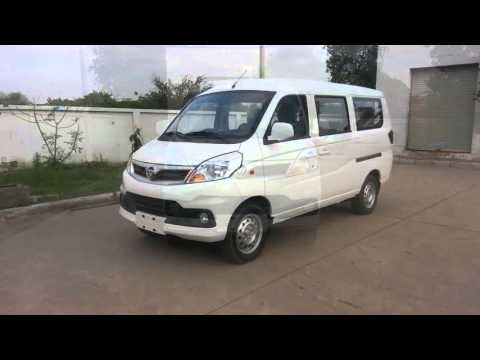 Foton Thunder has a maximum speed of 160 km/hr and boasts of special features like leather interiors, keyless entry, USB port, airbags and proximity alert sensors. This small truck has got 1493cc of displacement with the help of 8 numbers of valve and is SOHC G15A type. Toyota HiAce is known to return approximately 32.1/32.5 MPG on the city/freeway. This vehicle is powered by a 2.5 L D4D diesel engine with greater performance. Mitsubishi L300 offers several engine options from 1.4L I4 gasoline to 2.5L I4 diesel. Transmission varies between 3/4 speed automatic and 4/5 speed manual. Nissan Urvan is powered by a four cylindered DOHC water-cooled diesel engine that is capable of displacing 105 BHP along with 154 ft lb of torque.